Dimensions 0.50 by 8.25 by 9.75 in. Â The Art of War enjoys enduring popularity among readers. It is a classic study of strategy and how to shape your tactics to cope with an ever-evolving situation â in some cases how to fight without actually committing yourself to battle. This is a beautiful edition, illustrated throughout with full-color images in keeping with the text. Broken down into 13 chapters, each devoted to a different aspect of warfare, this has an introduction by well-known author Nigel Cawthorne. 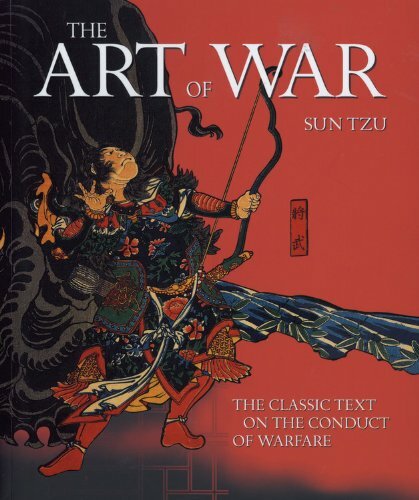 Despite being written so long ago, the theories expressed within The Art of War are still considered shrewd and penetrating, and are used today as a source of insight into office politics, business management and corporate strategy. The lessons in the text can be applied to many areas of life. Sections include: Laying plans, Waging war, Attack by stratagem, Tactical dispositions, Energy, Weak points and strong, Maneuvering, Variation in tactics, The army on the march, Terrain, The Nine Situations, Attack by fire and The use of spies.